Baseball is always a team sport, but on Friday afternoon, it was also a family sport. 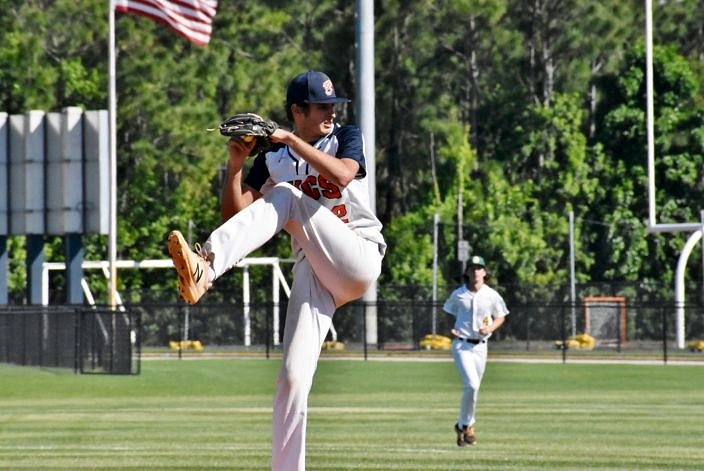 When Benjamin (4-4) played host to Suncoast (3-5) at Jacobs Field, Buccaneers pitcher Nick Lutz faced off against brother Chris Lutz, who took the mound for the Chargers. At least this time around, it was Nick who took home the bragging rights. Benjamin’s starter got the win after scattering four hits across six shutout innings. Gerald Bissell closed out the game with a scoreless seventh in relief. 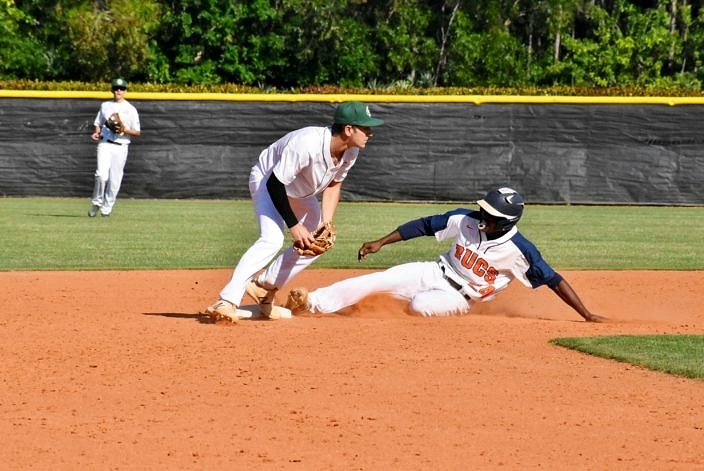 Backed by offense early and often, the Buccaneers cruised to a 4-0 victory, ending a three-game slide of one-run losses. Benjamin did all of their damage in the first three innings. TJ McKenzie notched an RBI groundout to get the Buccaneers on the board in the first, bringing in Brian Lopes. Up two runs in the third, he also crossed home-plate to extend Benjamin’s lead when Parker Haskin launched a double to left field. Immediately afterwards, Tyler Judge crushed his own double to right field, bringing Haskin home to finalize the scoring. Following the game, McKenzie vibrantly spoke about the team’s positive energy from the first inning onward, and Haskin echoed his teammate’s enthusiasm. Though the Buccaneers did not score again during the afternoon, strong defensive play kept Suncoast from doing so either. 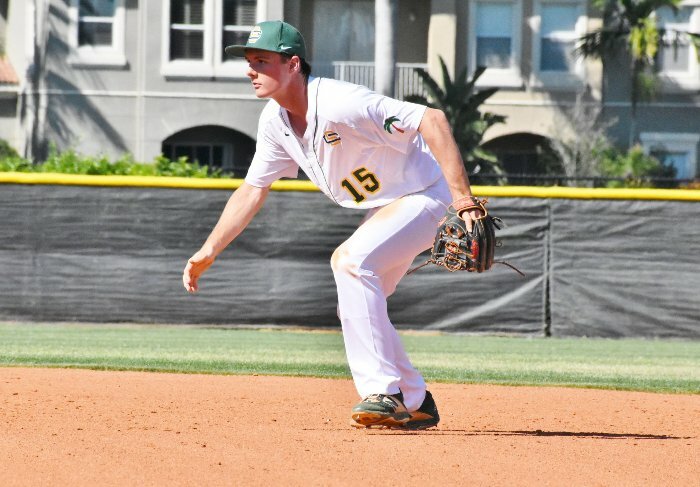 The middle of the infield was practically impenetrable, with Benjamin’s tandem of shortstop McKenzie and second baseman Vance Sheahan locking down every ground ball up the middle. They stapled their mark on the defensive performance by combining for a crisp double play in the top of the seventh. But this has been a positive all year long for the Buccaneers, according to Manager Matt Lynch. He continued to joke with nearby players about the offense showing up in a big way after tough-luck losses where the pitching staff dominated — three times in a row. On the other side, Manager Duke Thrash pointed toward several things his team needs to turn around, and it all starts with latching onto the same momentum that carried the Chargers through back-to-back wins against Trinity Christian and Oxbridge Academy. Their recent form suggests the team won’t have too many issues finding the win column again. For Benjamin, it’s a return to early-season success, when they rolled off wins against Dwyer and Boca Raton.